Hey gals, are you going well? 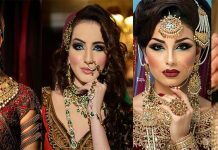 Eid is arrived at its corner and designers are keep on launching their eid collection one after other in volume 1, 2 and so on. Now it’s time to discuss about Pakistan’s famous designer Shaista’s lawn collection. 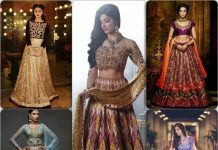 She has brought huge variety of dress in splendid colors and mesmerizing designs. 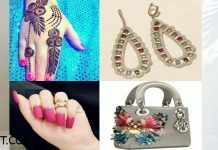 Every modish girl wait for her assortment desperately, whether its a seasonal wear or occasional wear. You will always find uniqueness and creativity in her clothing. In this blazing sun season, you need such fabric which only makes your look pretty but also sooth your senses and makes you feel comfortable. 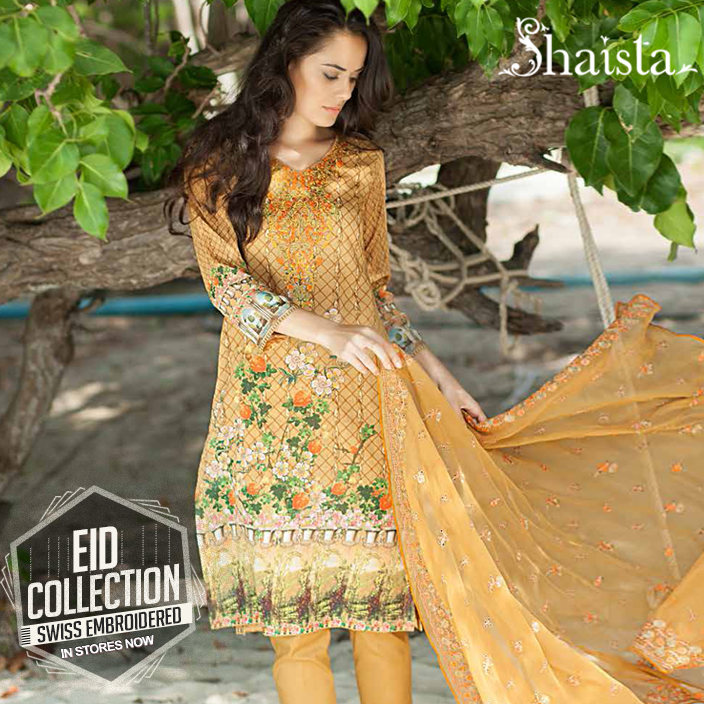 Shaista Cloth is a name of creativity and artistic work, she always brings assortments with distinctive ideas and in splendid embroidered patterns. Now her Shaista Cloth Luxury Swiss Embroidered Eid Collection 2017-18 is an deal for this summer season. Now it’s trend to wear designer wear to show their class and status. So designers works their best to satisfy their customers. They try to provide their Client such thing which they deserve. In this range, each dress is adorned with beautiful prints and embroidered work is also added to make it amazing. The color selection and prints are according to latest trends and taste of customers. The quality of fabric makes it best choice for everyone to put smile on their face. So get this excited unique pattrend collection, we have gathered for you people. 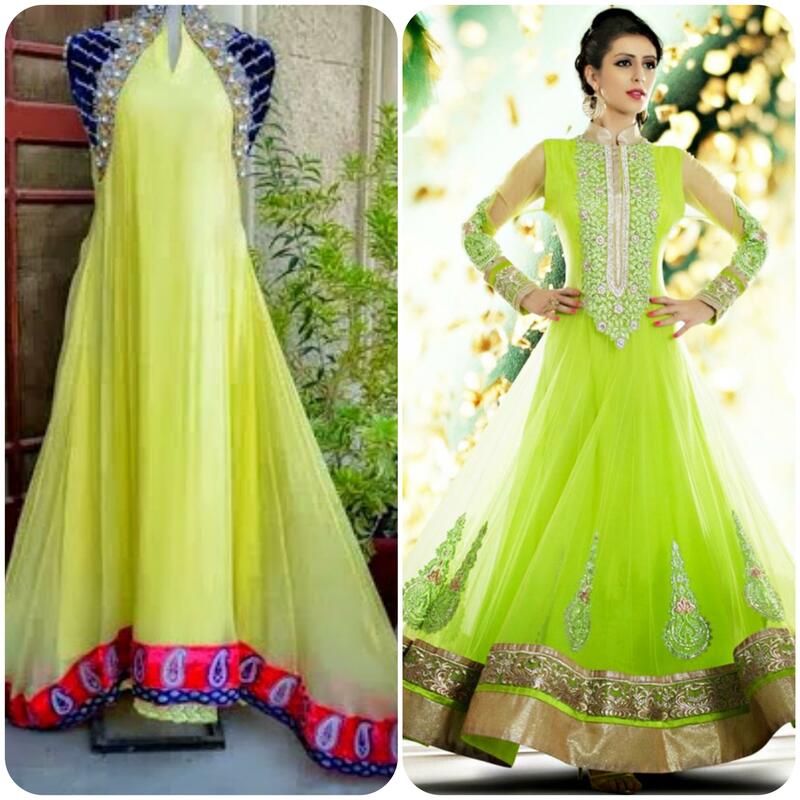 Each dress is amalgamation of modern and stylish cuts and designs. Have a look! 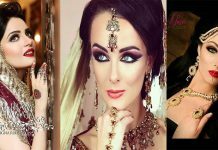 Women now became trend followers, they always intended to go for elegance and sophistication keeping in mind their culture and traditions. The best thing to wear such stuff which gives you pleasure. As this is not only the month of rituals, the basic thing to brings out of your hidden desires. 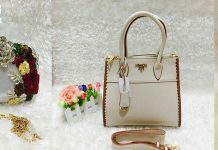 So this brand always comes up with latest stitching styles and designs. 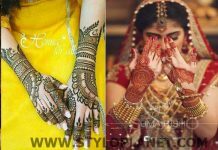 Shaista designer use eye popping shades and blend of designs in such way that makes her top priority among customers. This is the time to talk about Eid arrivals. 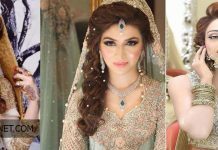 So there are number of brands have explored their eid collections in market like Gul Ahmed, Junaid Jamshed, Asif Jofa, Maria.B and many more others. Now again you are at exact place, another eye catching series is coming your way. The kameez is fully printed from front and back side, embroidered patches and thread work is also done on sleeves, gala and on borders. 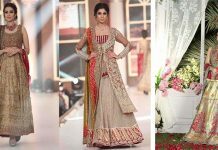 While shalwar is in pure cotton and beautiful drape of chiffon dupatta is making this assortment amazing. 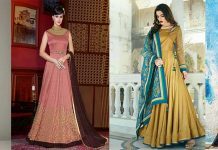 The price of each dress is PKR RS 4,695, quite affordable price for everyone, keeping the fabric and distinctive work in mind. So scroll down page and go through this stunning series. 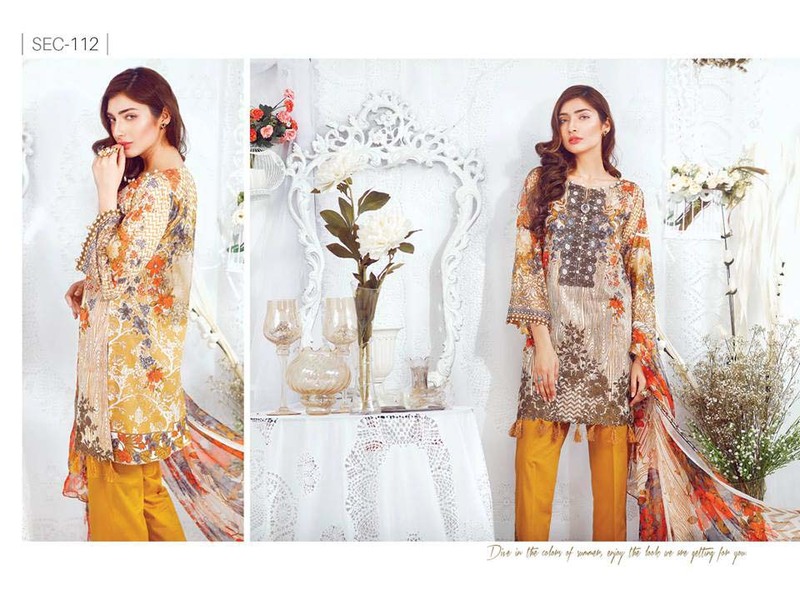 You can also visit Khaadi Luxury Embroidered Eid Collection. 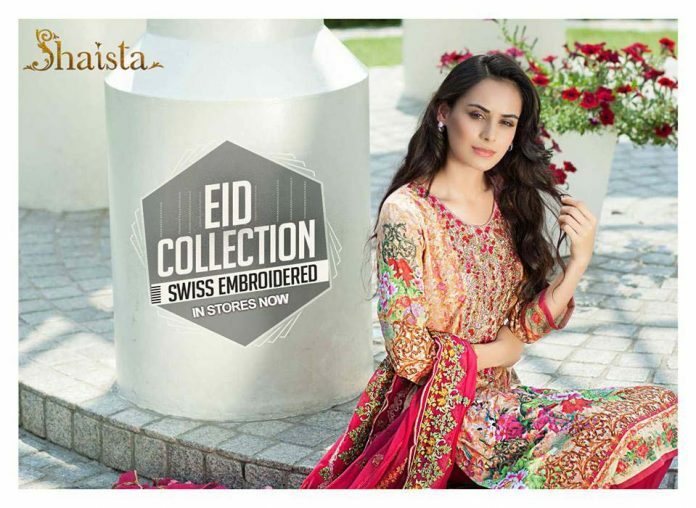 Shaista Cloth a well known name of fashion industry has brought new embroidered eid series patterned with latest digital designs and with delicate embroidery.